NEW YORK (AP) -- Wal-Mart is using its massive size to drive down the price of organic food items from tomato paste to chicken broth to make them more affordable for its low-income customers. The world's largest retailer and nation's largest grocery seller said Thursday that it has teamed up with Wild Oats to sell a new line of organic foods, starting this month, that's at least 25 percent cheaper than the national organic brands it carries and in line with the prices of its branded non-organic alternatives. Wild Oats helped pioneer the organic food trend in the late 1980s but has largely disappeared from store shelves since 2007. Wild Oats' 6-ounce can of tomato paste, for example, is priced at 58 cents, compared with 98 cents for a national-brand organic version. And a 32-ounce can of chicken broth under Wild Oats is priced at $1.98, compared with the $3.47 for a national-brand alternative, according to the discounter's survey of 26 nationally branded organic products available at Walmart.com. 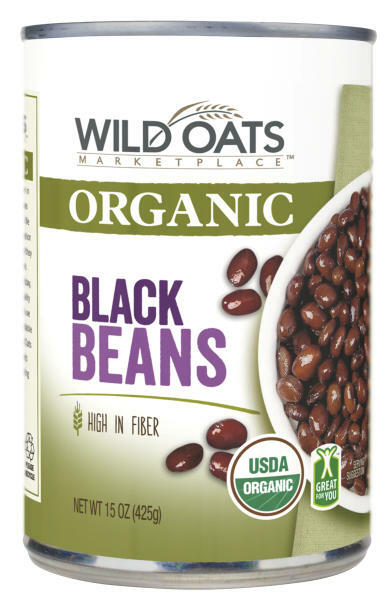 Wal-Mart Stores Inc. is unveiling nearly 100 pantry items under the Wild Oats label over the next several months, adding to the 1,600 organic food items it already carries. It's taking a cautious approach, planning to have them in about half of its 4,000 domestic namesake stores to make sure it can satisfy demand. The Bentonville, Ark., company will be the exclusive national retailer of Wild Oats. "We are removing the premium associated with organic groceries," Jack Sinclair, Wal-Mart's executive vice president of grocery, told reporters during a conference call Wednesday. Wal-Mart and other mainstream stores are eagerly trying to stake a bigger claim in the hot organic market as they see shoppers from all different income levels wanting to eat healthier. Analysts believe that Wal-Mart's strategy could put more pressure on companies like Whole Foods to lower prices. Sinclair declined to comment on how big Wal-Mart's organic business is, but he says sales of organic food are growing more quickly than nearly every category of non-organic food items. Still, high prices have kept a lid on that growth. Wal-Mart says that 42 percent of its customers surveyed in 2011 bought some organic or "natural" goods, according to outside research. According to its own survey, 91 percent of Wal-Mart shoppers would consider purchasing products from an affordable organic brand at the store. For Wild Oats, it's a big chance to revive its brand. Founded in Boulder, Colo., in 1987, Wild Oats operated 110 stores in 24 states and in Canada at its peak in early 2007. Whole Foods bought Wild Oats that year, but after an extensive regulatory battle, Whole Foods unloaded the chain in 2009, and the stores and its products disappeared. Private equity firm Yucaipa Cos., who was the largest stakeholder of Wild Oats by the time the name was sold to Whole Foods, now owns the brand. Yucaipa is run by billionaire Ron Burkle. 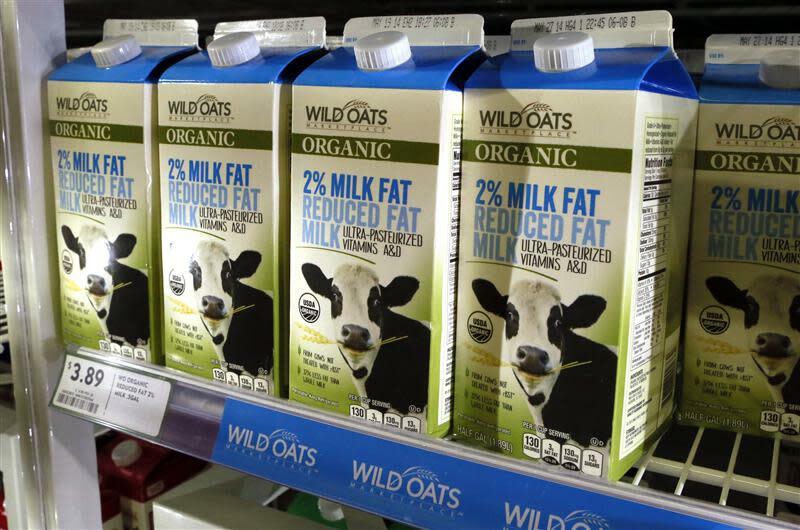 Wild Oats just started selling a line of fresh organic food like eggs and milk at Fresh & Easy stores in the U.S., a former division of Britain's Tesco. Most of the Fresh & Easy U.S. stores were purchased by Yucaipa last year. "We're invigorating our brand by bringing great tasting Wild Oats products to more customers than ever before," said Tom Casey, CEO of Wild Oats. Whole Foods Market Inc. couldn't be immediately reached for comment. But Marshal Cohen, chief industry analyst at market research firm NPD Group, says that he expects Whole Foods and other retailers to react with lower prices. According to the Washington-based Organic Trade Association, organic food and other products generated sales of $31.5 billion in the U.S. in 2012, the most recent data available. The sales figure was up 10.3 percent from the year before and has more than tripled since 2002 when sales were $8.4 billion. "The pie is growing and more consumers are coming on board," said the group's Barbara Haumann. She noted that all types of stores are benefiting from that growth. In fact, earlier this week, Wal-Mart rival Target Corp. announced it was increasing its offerings of natural, organic and sustainable offerings across the grocery, beauty and household staples and beauty aisle. Sinclair told reporters that Wal-Mart will be able to reduce costs by making longer-term commitments with producers like tomato growers so they can have an incentive to grow more. When asked about what its other organic brands think of the move, Sinclair said that other labels don't span across all the food categories. But Sinclair added that to make organic food more affordable, overall, "Prices are going to have to come down."